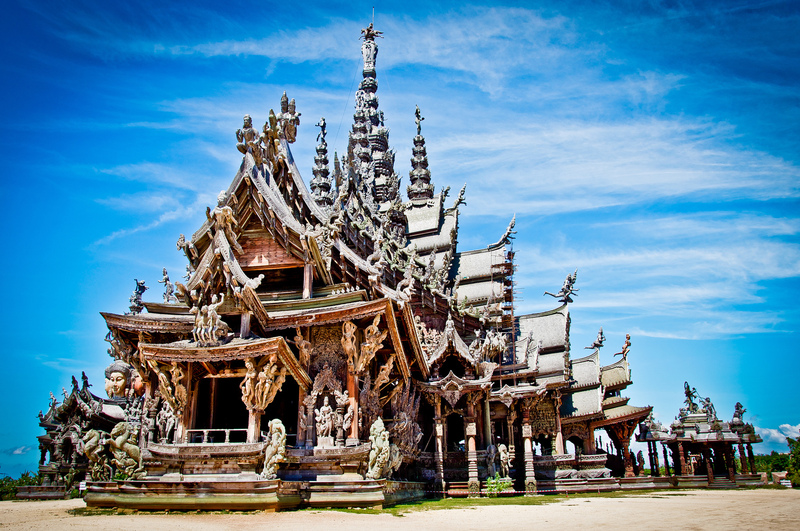 The best things to do in Pattaya cater to the carefree tourist and the wholesome adventurer. Ready to explore? 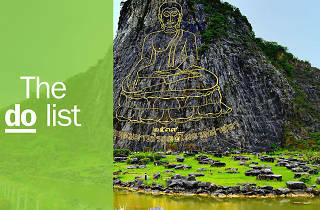 A city with two contrasting faces, Pattaya appeals to the carefree tourist who’s after raucous nightlife pursuits, as well as those looking for wholesome adventure activities and family friendly fun—and, worry not, our list of best things to do in Pattaya caters to both types of folks. This city has it all, whether you love shopping, culture, entertainment, dining or the bar scene. Ready to explore? What is it? 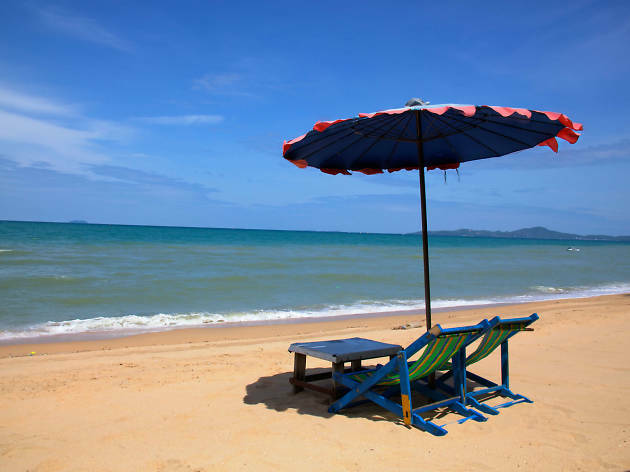 A cleaner, quieter alternative to Pattaya Beach. Why go? 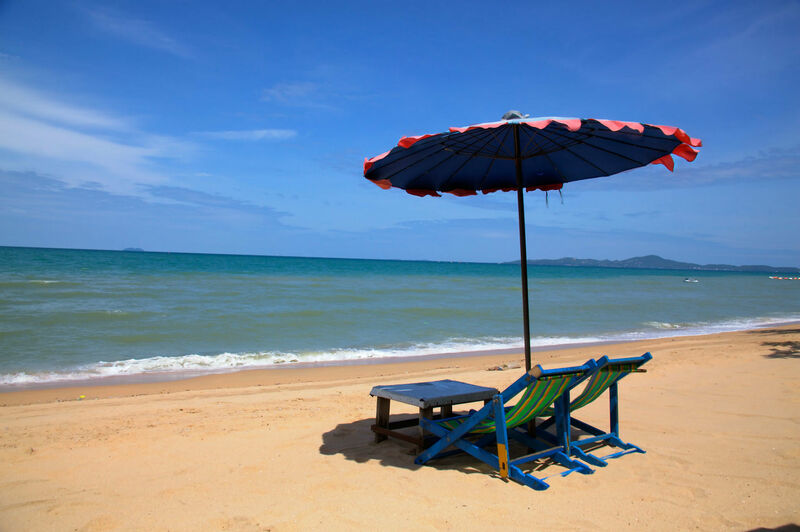 Located ten minutes away from Pattaya proper, Jomtien is a laidback resort town frequented by local weekenders and tourists that prefer a less frenetic waterfront experience. Its sandy, palm tree-lined beach offer vacationers a pleasant atmosphere for idling the day away. There are restaurants and cafés along the beach for tourists to enjoy authentic Thai dishes, fresh seafood and cocktails while looking out into the calm sea. What is it? Lavish stage shows packed with dance, music and comedy. Why go? In Thailand, ‘Katooey’ refers to a transgender woman or effeminate gay man. Pattaya is well-known for its riotous hour-long katooey (or ladyboy) shows, which feature glamorous performers in extravagant costumes (think diamantes and plumes of features). ‘The Tiffany Show’, which has spawned two popular beauty pageants, is both the original and most well-known, but other cabarets like ‘The Alcazar Show’ and ‘The Colosseum Shows’ also put in impressive performances. What is it? A big-budget show that merges the world of cinema with live action and world-class technology. Why go? KAAN brings to the stage a world of imagination inspired by famous Thai literature and folklore. 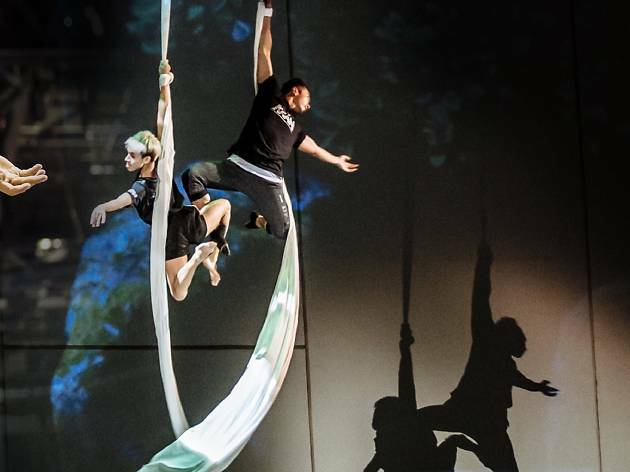 Enhancing the beautiful costumes and set design – as well as vibrant aerial acrobatics and dance performances – are a host of mind-boggling state-of-the-art effects. What is it? No one really knows – and that’s part of its allure. Why go? 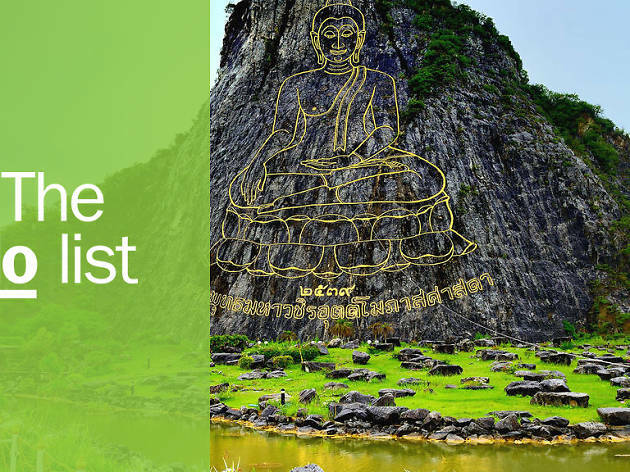 Neither a temple nor a monument nor a palace, this colossal structure is probably best described as an homage to Thai craftsmanship and ingenuity. 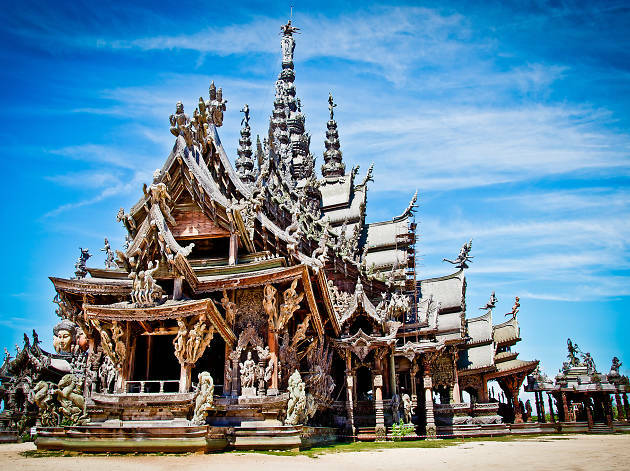 The whole structure is intricately handcarved out of teakwood (metal nails are not even used) and features stunningly detailed carvings of people, scenery, animals, mythological creatures and deities. The construction of the sanctuary, which began in 1981, is an on-going, never-ending task; a huge number of woodcarvers are always at work here. What is it? An island escape off the coast of Pattaya. Why go? Offering the perfect respite from the party beaches, Coral Island or Koh Larn is a quick boat ride into the Gulf of Thailand. The four-kilometer-long stretch of white sand has six main beaches, blue waters and a hilly, forested interior. You can go for a day trip, but Coral Island is a destination in its own right, with affordable accommodations and plenty to keep you entertained: snorkelling, kayaking, hiking and, of course, tippling ’til the wee hours. What is it? A park where you can stand tall. Why go? Suppress the urge to raise your arms in the air and go “Roar!” while stomping along trails set with miniaturised models – each built on a scale of 1:25 – of iconic sites and structures across the world. You’ll feel like Godzilla as you view tiny, detailed versions of popular Thai historical landmarks like Wat Arun, Ayutthaya and the Victory Monument. 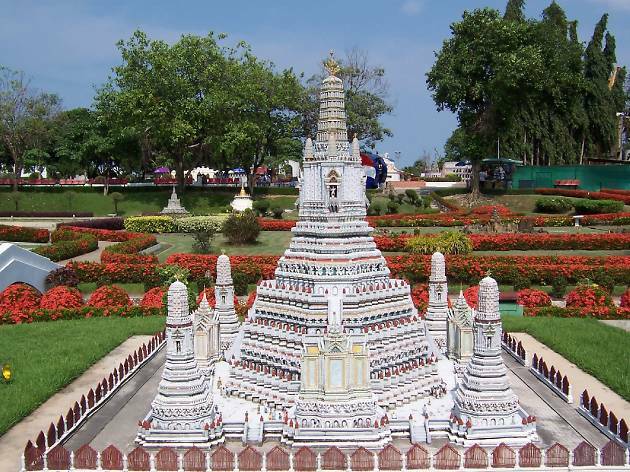 Another part of the park, Mini Europe, presents shrunken versions of global wonders like the Eiffel Tower and the Leaning Tower of Pisa. What is it? 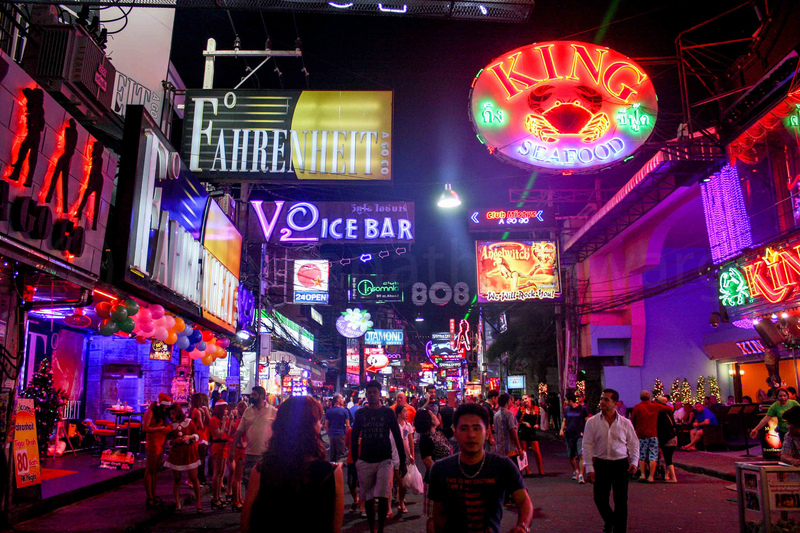 The heart of Pattaya's nightlife. Why go? The brave should experience this bawdy spectacle at least once in their life. Come sunset, the road is closed to vehicle traffic and becomes a 500-metre carnival of loud music, neon lights, cheap booze and pure, unadulterated madness. Beer joints and go-go bars occupy most of the street's length, with a few pubs, restaurants and shops rounding out the attractions. Street performers also parade the street, vying for your attention alongside ping pong-show touts and kickboxing promoters. What is it? 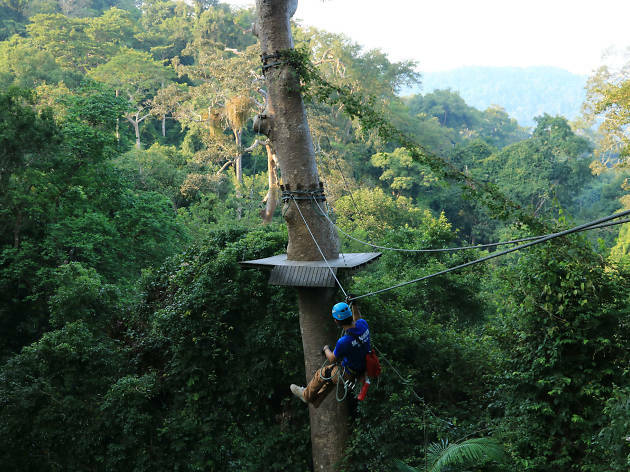 A chance to experience the beauty of Thailand’s rainforest by zipline. Why go? If you’re craving a tropical Tarzan and Jane adventure, this is the place for you. Imagine getting to experience the Thai rainforest from a whole new perspective – swishing and swooshing through the treetops, rappelling into empty space at the end of a rope, and traversing sky bridges. Highly trained Sky Ranger guides have your safety as their highest priority, and will also share their knowledge of the local flora and fauna. Possible sightings include macaques, giant squirrels, wild boar and, of course, the elusive gibbon. What is it? A pure adrenaline rush, not for the fainthearted. Why go? 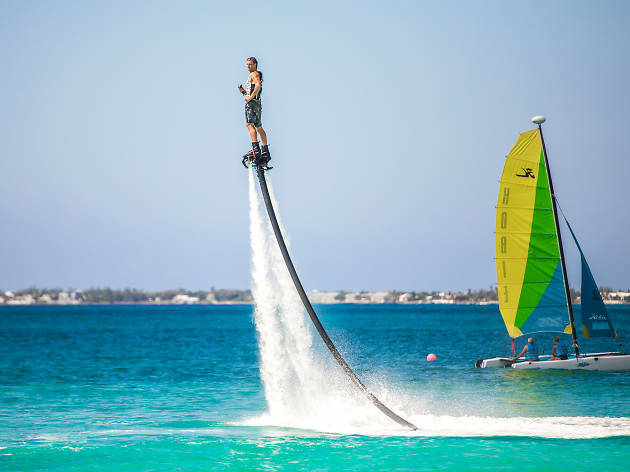 This watersport sensation involves strapping your feet into an aerodynamic board, then being propelled by water jets 12 metres into the air. Courageous souls can take lessons with Flyboard Pattaya, which will teach you how to zoom up into the air like a capeless superhero, and then dive back into the water like a dolphin. 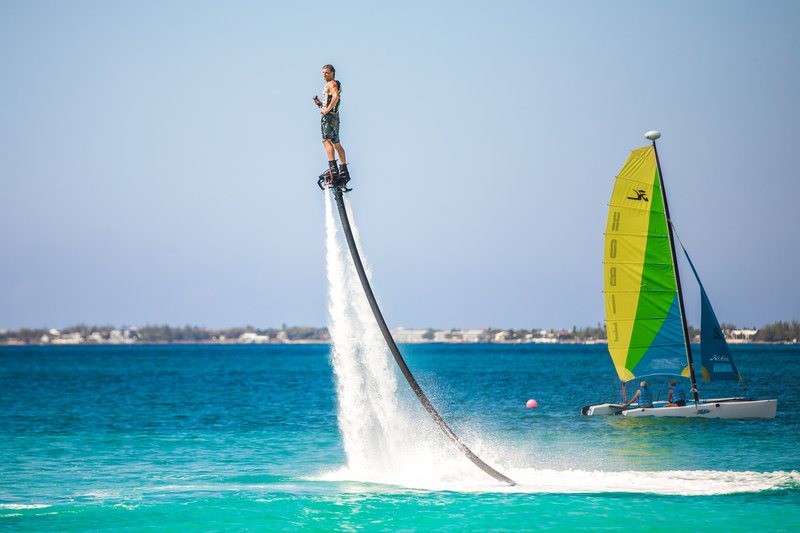 It may take a while to get your balance (wakeboarders and surfers usually catch on quicker), but once you get the hang of it, flyboarding is awesomeness all the way. What is it? Pattaya’s swankiest bar. Why go? 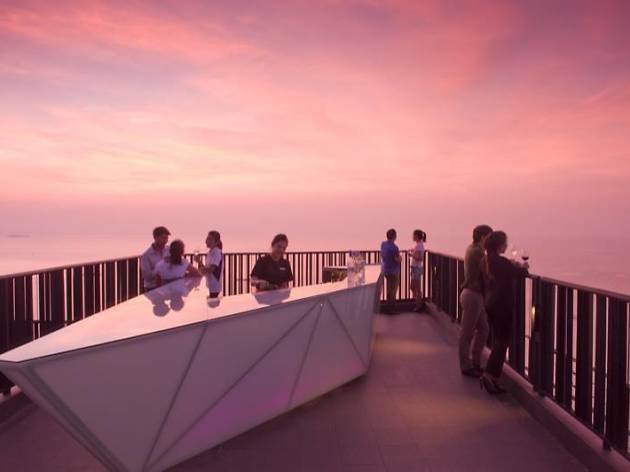 Perched on the 34th floor of the Hilton Pattaya, Horizon Rooftop Bar lures guests with unparalleled 360-degree panoramic view of the city and the bay. The scenery is complemented by a sophisticated ambience, sweet cocktails and a creative menu of Asian tapas. Come for happy hour and stay for the fiery sunset. What is it? 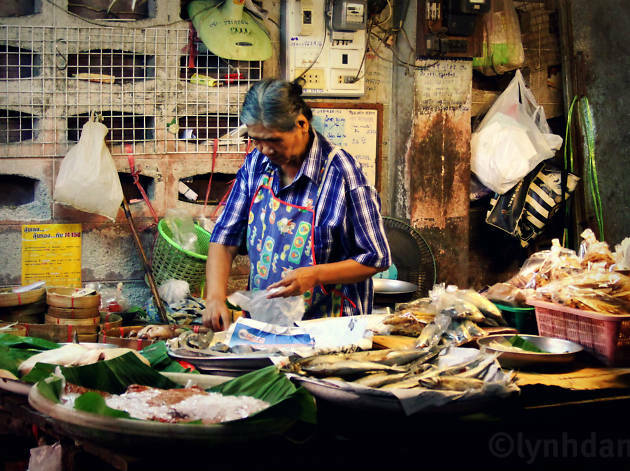 The place to get the best and freshest seafood in Pattaya, straight off the boat. Why go? 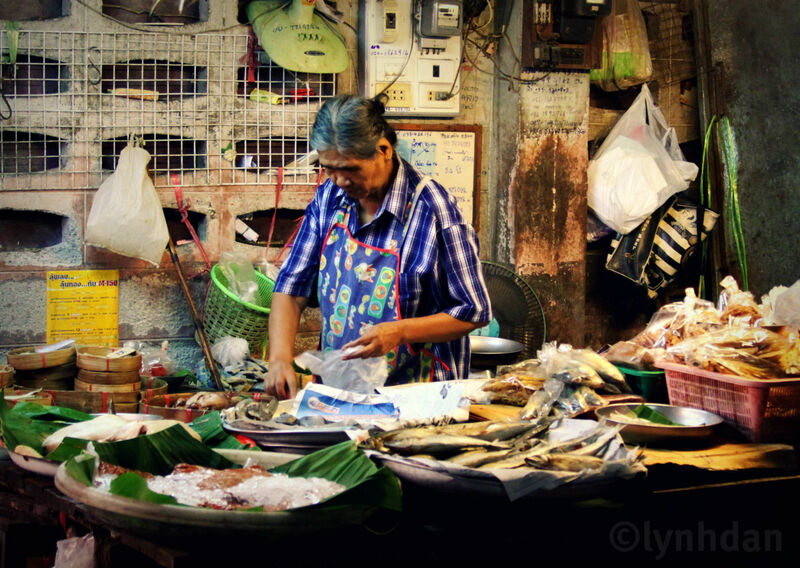 This bustling market is best experienced in the morning when the fishermen have just hauled in their catch. Navigate your way around stalls displaying a wide array of locally caught fish and seafood including snapper, grouper, prawns, oysters and other shellfish. The prices here far cheaper than anywhere else (haggling is expected), and you can get your fish cooked by the local barbecue vendors for a nominal price. The adjoining Lan Pho Park is the perfect place to enjoy your grilled seafood while looking out to the ocean. What is it? A swanky seafood restaurant in Jomtien. Why go? This glamorous colonial-style restaurant unfurls along Jomtien Beach, exuding a refined, old-world charm in an elegant waterfront setting. 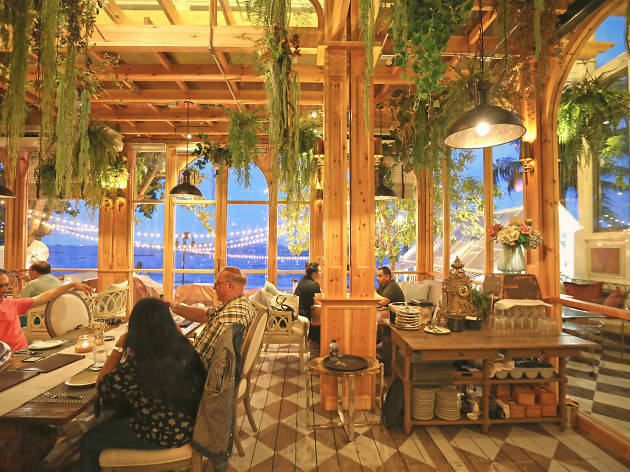 Ideal for an intimate dinner by the ocean, a family celebration or an elegantly casual meal, the Glass House serves a wide array of authentic Thai fare (there are 177 items in the menu) as well as a smattering of Western dishes. Call in advance as it’s consistently fully booked. Looking for a late-night hangout? There’s much more to modern Pattaya than go-go bars, massage parlours and ping-pong shows. These days, there are plenty of great live music spots, chic bars and world-class clubs balancing out the less salubrious aspects of life after dark in one of Thailand’s most visited cities. 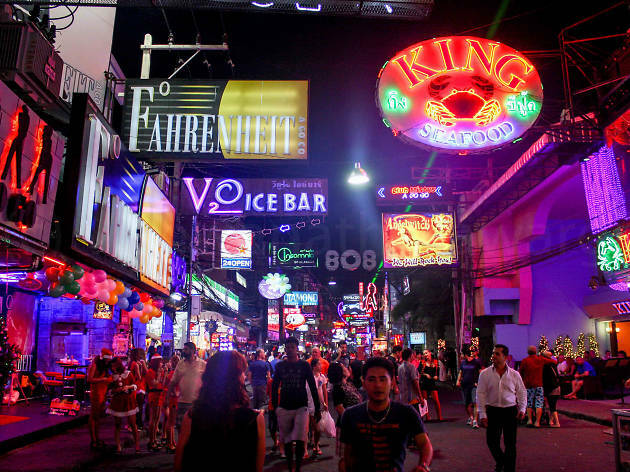 Here’s our list of the best nightlife in Pattaya.